I slept with Bill Cosby last night, but he didn’t force me to — it was consensual. Since more than a dozen women have come forward this year alleging they had less-than-consensual relations with the now 77-year-old comedian in decades past, perhaps I should consider myself lucky. 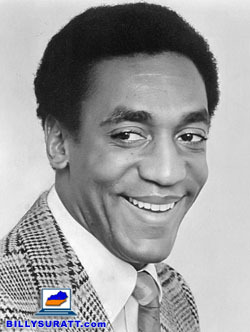 As I laid down to sleep last night, I listened to Cosby’s sixth comedy album, “To Russell, My Brother, Whom I Slept With,” recorded live in 1968 at the Cleveland Public Auditorium. The album is ranked No. 1 on “Spin” magazine’s list of the 40 greatest comedy albums of all time, but it just doesn’t seem very funny anymore. You gotta stay in there ’cause the guy throws a curveball at you, it may break — across the plate — so you have to stay in there. You don’t want people to think you’re chicken and you jump out of the box. … And all of a sudden, man, you know that ball is not gonna break. … Right in the back. Knocks all the wind out of you and you can’t breathe, and all bent over. “Baseball” may have once been a funny comedy bit, but now it seems more like a sad analogy for Cosby’s current situation. With 14 women thus far coming forward to allege Cosby sexually assaulted them in decades past (not even counting the one with whom he settled out of court in 2006), one of America’s most beloved entertainers keeps getting thrown curveballs left and right. It’s become obvious those balls are not going to break, and Cosby’s silence on the matter does little but leave us wondering when he’ll finally be tagged out. Discrepancies between two Bill Cosby sexual allegation stories indicate something isn't right—and for once, it's not Cosby's alleged conduct.